Update, hot to reset service light Jaguar XF. Withing 3 seconds, press and hold button for fog lamp, see below picture. If you have the steering wheel on the right the fog button is under dash to the right of the steering wheel. if you have steering wheel on the left, the fog button is under the dash to the left of the steering wheel. Do not depress brake pedal. Press START/STOP button to switch ignition ON. Press and hold trip meter button, see below picture and then press and hold fog lamp button. This button is situated at the end of the light lever, turn signal blinker light control. The message RESETTING SERVICE MODE will appear on monitor. See below picture. Keep both buttons depressed for ten seconds. The message SERVICE MODE RESET will appear on monitor. See below picture. That it is the full procedure how to reset oil service light Jaguar XF. If you like to reset any maintenance oil light after an oil change. Or reset check engine light, airbag light, inspection key or insp errors when maint reqd, for Jags cars. Or any warning light for service reminder which appears on the display. Write in the search box the car name for which you want to find information, and find how to reset other service reminders when by yourself. From what year it’s your Jaguar XF ? azzerare messaggio di manutenzione dalla range rover evoque 2.2 td4 anno 2012 150cv. You can reste Jaguar xk ? The service light? Please tell me from what year it is your Jaguar XkK ? Does this work on 2014 XF. I need to reset service required message? Yes should work for your model from year 2014. Hello Lou, please tell me what car do you have this is the second comment from you but on a different car. Hello Wallman, can you tell me what it looks like, this warning light ? 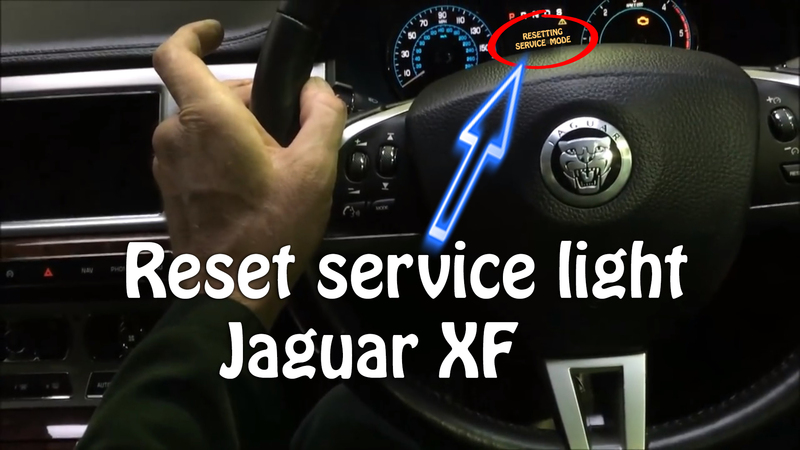 Service required light comes on for my 2013 Jaguar XF–it goes off after it starts. What are the steps to remove this message? I appreciate your help.